A well pump is a device that helps to extract water from a well or underground water source. Water wells differ in size, amount of water and depth, and this means that there are different types of pumps for the different requirements. Before investing in a water pump for your well, you need to find out the type that you need. When selecting, consider factors like the depth of the well, and the well casing diameter. The following tips will help you to choose the pump that is right for you. There are different types of well pumps in the market and understanding your options will help you to make the best choice. There are pumps that are mounted above a well and others that are submersed in the water. The choice you make will depend on the distance that the water will need to travel in order to reach the surface. When selecting a pump, you have to base your decision on whether you have a deep or shallow water well. A shallow well jet pump sits above the ground and it draws water through an inlet pipe while a deep well jet pump is also installed above ground but it draws water from one pipe and pushes it through a different pipe. A deep well submersible pump has a single pipe that goes from the inside of the well to the home, connecting to an interior pressure tank. 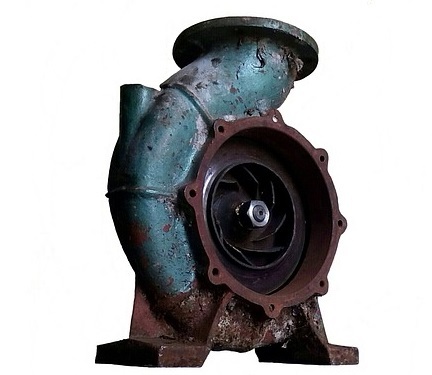 Other types of water pumps include solar, manual and air-driven pumps. Knowing the depth of your well will help you to make the best decision. Water pumps are rated according to the gallons per minute (gpm). You need to consider your water usage or needs so that you get the best size for your home. In most cases, a typical 3 or 4-bedroom home will require 8 to 12 gpm but this will also depend on the number of people in the home. Think about your home design and the number of fixtures that you have so that you can choose the best size pump. Talking to a professional is the best way to find out the best pump size for your home. It is important to think about all the components that go into ensuring pump function. Some of the important components include the pressure switch that automatically turns the water on and off depending on the pressure settings. The pressure tank helps to maintain water pressure that keeps appliances operating efficiently. Other components are a safety rope to recover the pump during maintenance, the check valve and the foot valve. It is important to note that buying a pump that is too large can be energy inefficient and it leads to reduced performance. If you are replacing a pump, consider choosing a unit that has the same horsepower or if you have added a new appliance or you have more people in the home you can add more horsepower. Make sure that you consider how the pump will be powered when making the choice. In addition, invest in a pump made from quality materials that can withstand different environmental elements.